My best friend Elyse came out for Memorial Day weekend! She's my first visitor out here so I tried to pack in everything I love about Northern California into two and half days. 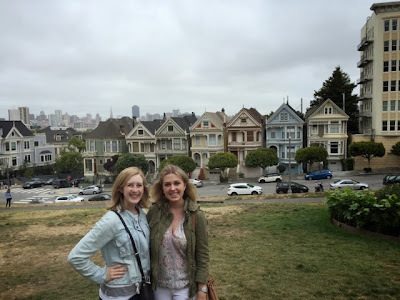 We did as much as we could in our day in San Francisco and our itinerary worked out pretty well. We didn't get everything in, but we did a damn good job. Elyse arrived late Friday night, so we stayed in the city. Before going to bed, we checked out the bar Novela and loved their Leopold Bloom cocktails. 9:00 AM: Breakfast at the Ferry Building. It was Saturday so they had an awesome farmers market. We tried some fruit before picking up pastries from Acme Bread Co and coffee from Peet's. 9:45 AM: Uber to Alamo Square, home to the famed Painted Ladies. (everywhere you look). Time for a photo opp and some great people watching of hilarious French tourists. 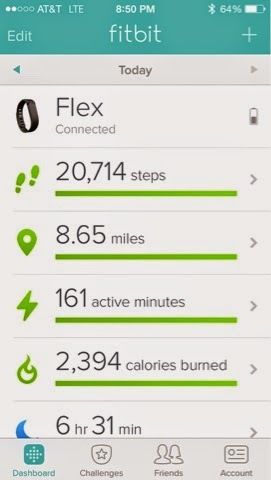 10:00-10:30AM: Enjoyable walk through the Panhandle to Golden Gate Park. 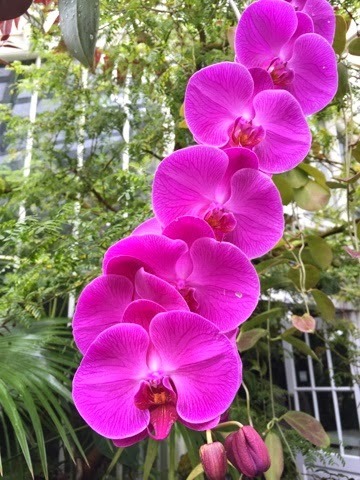 10:35-11:25AM: Bought tickets to walk through the Conservatory of Flowers (voted the best first date place in SF). Looked at beautiful orchids and other crazy plants while the humidity curled our hair. 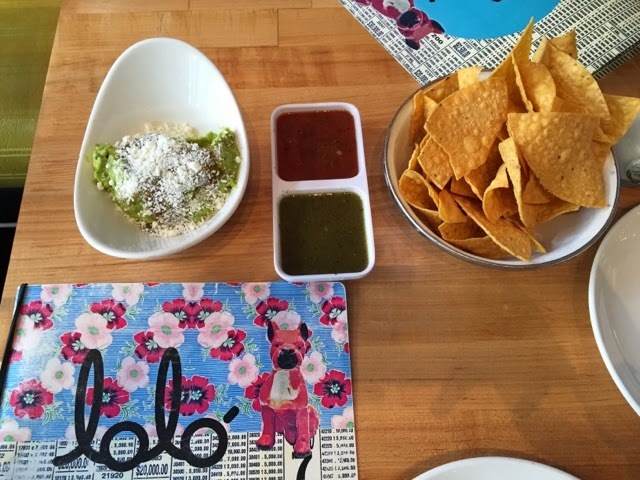 11:30AM: Uber to the Mission for a healthy helping of Mexican food at Lolo. 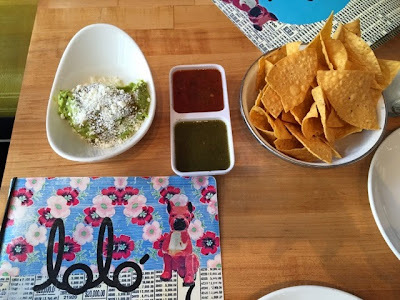 You have to try the guac. This place has a super funky decor and delicious mid-day margs. 1:00pm: Uber to Washington Square Park to show her a little bit of North Beach before taking the steps up to Coit Tower. Nothing like working your hamstrings to make you appreciate the hills in SF. 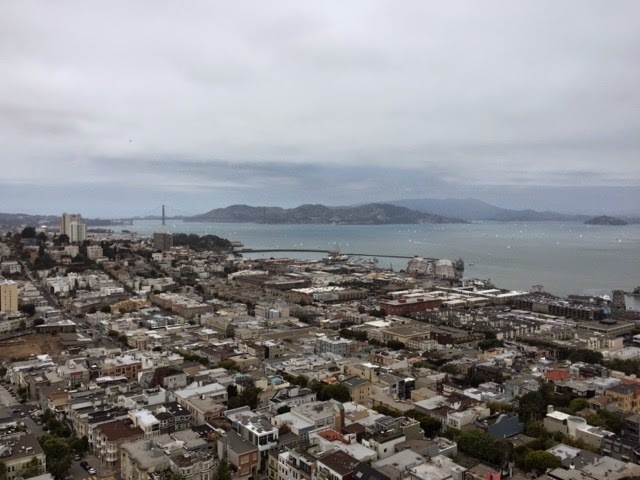 We bought tickets for a minute-long elevator ride to the top of Coit Tower for fabulous panoramas of the city. 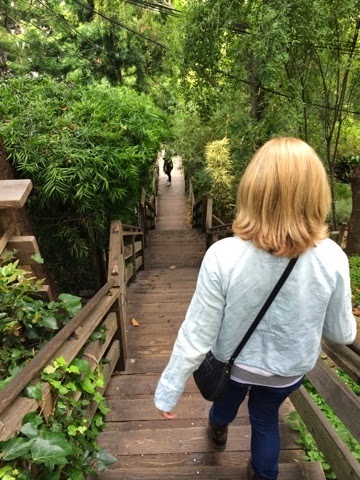 2:00PM: Walk down the Filbert Steps to get a chance to show off a unique little neighborhood in SF. 2:20PM Walk from Levi Square to Pier 39 because the sun is finally out! Not pictured: Lots of tourists, bee activists and fat seals. 3:00PM: Continue walking to Ghiradelli Square. 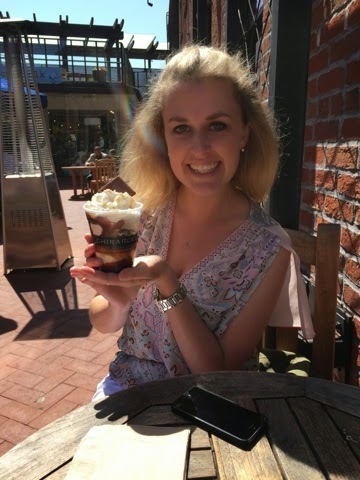 Proceed to wait in line for an incredible ice cream sundae before taking an Uber back to the car. 4:00PM: Drive through the Presidio towards the Golden Gate. Get stuck in crazy traffic. Upside: Fabulous views of the Golden Gate the whole time and a slow crawl over the bridge really gives you a chance to view the whole thing. Stop at the vista off the bridge for a photo opportunity with every other tourist in the city. 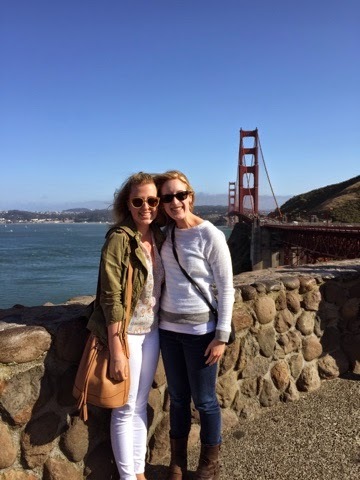 5:30PM: Head to Sausalito to show off how cute it is. Stop for dinner at the best sushi place. 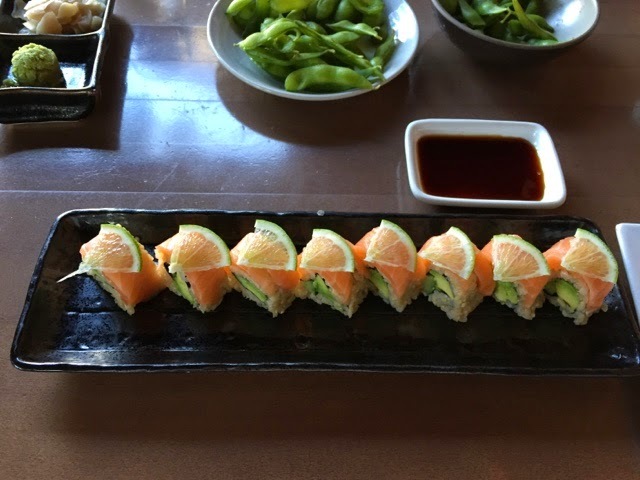 Order the Citrus Salmon roll and edamame. 7:00PM: Head North on 101 to see fabulous sun setting views of Marin county. Get home, open a bottle of bubbly and watch a JLo romcom. I would say we earned that bubbly.